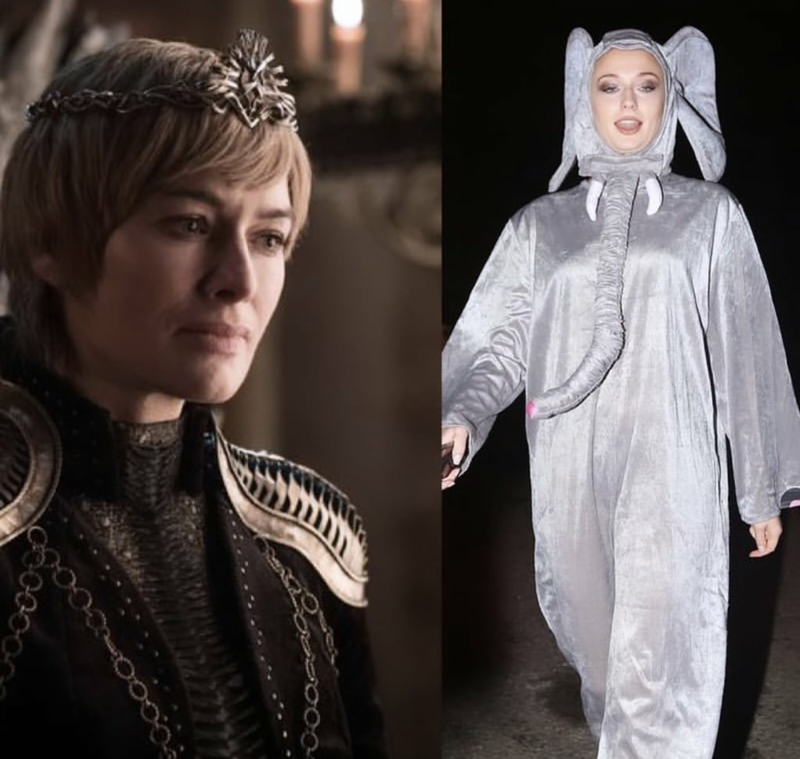 If you’ve seen the first episode of season eight of Game of Thrones, by now you’ll be well acquainted with Cersei’s inexplicable love of elephants. In the series opener, the vengeful queen is so disappointed that Captain Harry Strickland failed to bring her any of the creatures that she goes on to bring them up again numerous times throughout the episode. The weird elephant obsession didn’t escape viewers attention, and there are some hilarious memes currently doing the rounds. However, one Game of Thrones star may have just topped them all. 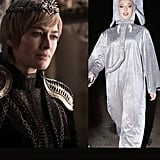 Sophie Turner, who plays Sansa Stark, one of Cersei’s many adversaries, posted a picture to her Instagram stories and tagged Lena Headey, who plays Cersei. 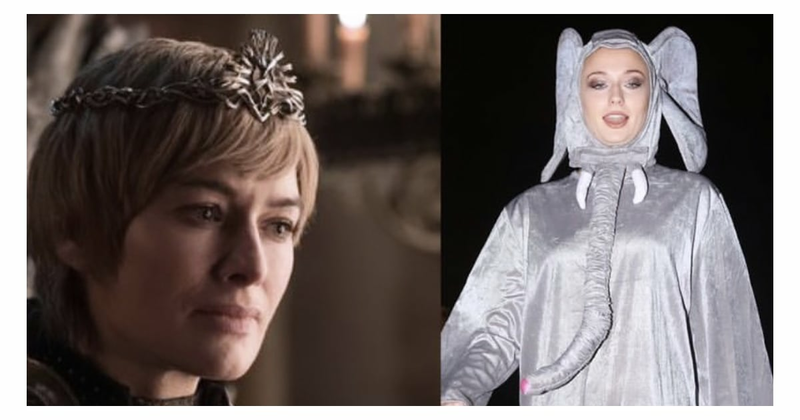 In the snap (which is from Halloween 2018), Sophie is wearing her very own elephant costume, and she trolls her onscreen enemy as she lines it up next to a picture of a sad-looking Cersei. The best bit? Her caption reads “Ur welcome Cercei.” Yep, she doesn’t even spell her name right. Though that was likely just a typo, it ends up being the perfect final burn, as if Cersei is now such a nonentity to Sansa that she can’t even remember her name. The best thing about this is that it looks like it could have been an elaborate plan that was months in the making. 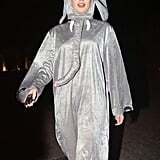 Filming on season eight wrapped in July 2018, so it’s possible Sophie was playing the (really) long game when she picked her Halloween costume. On the same night, her husband Joe Jonas dressed as Sansa, but we wrongly assumed Sophie’s look wasn’t Game of Thrones-themed. It turns out it was, and — intentional or not — this was a spoiler-filled couples costume after all!